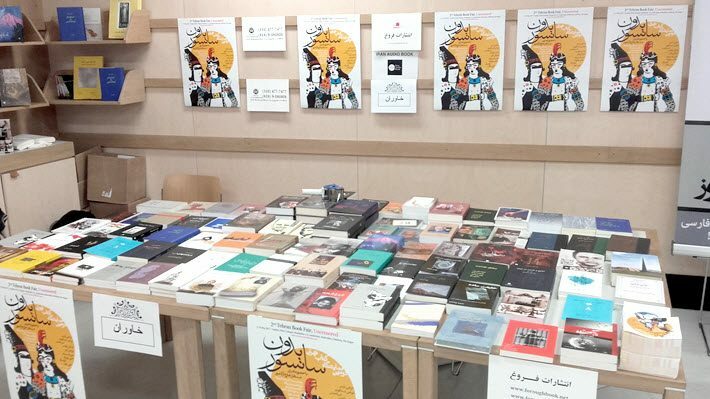 In its third year, the Tehran Book Fair Uncensored has released an anthology of writings censored in Iran but not yet published outside the country. In its third year, the Tehran Book Fair Uncensored—sponsored by the International Alliance of Independent Publishers—has some added wind at it back. Donald Trump’s withdrawal of the United States from the 2015 Iran nuclear deal has propelled that nation of more than 80 million people onto the world’s front pages and back to the top of the agenda for many international diplomats who are scrambling to address the seismic geopolitical upheaval that may follow. Even as Federica Mogherini, who negotiated the European Union’s role in the agreement, is working to keep the deal in place—and as Trump talks of re-imposing sanctions on Iran (here is Michael Birnham’s report in The Washington Post)—one of today’s intersections of publishing and politics, of course, is found in this annual effort to present Persian publishers “from the diaspora,” as you’ll read. Publishing Perspectives has asked Laurence Hugues, who manages the sponsoring International Alliance of Independent Publishers in Paris, for her thoughts on the book fair this year. The alliance is a network of more than 500 publishers in many parts of the world, all interested in bibliodiversity, a term referring to cultural diversity in publishing and literature. The Uncensored fair is held in May each year, as is Iran’s Tehran International Book Fair, which ran May 2 to 12 this year. 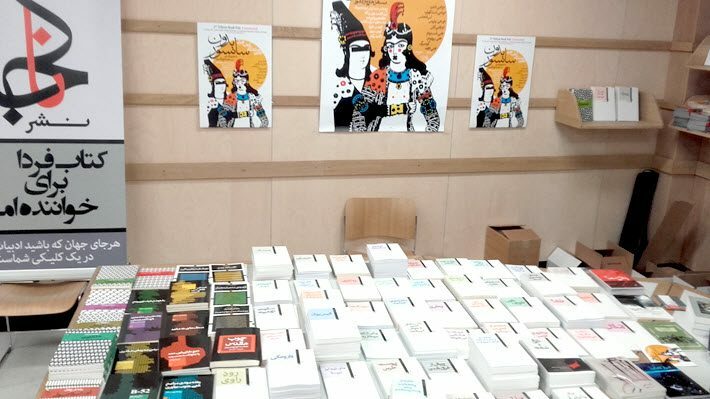 As the alliance writes, “Persian-language publishers, authors, and translators meet in various European and North American cities” at the Uncensored events “to disseminate books in Persian, including those censored in Iran, and books on Iran.” Some of the books on display have been translated into multiple languages. London-based Prix Voltaire nominee and Nogaam publisher Azadeh Parsapour, in a commentary for the International Publishers Association, speaks to the size of the Iranian diaspora, which is served by the Uncensored event. “More than 3 million Iranians have migrated from Iran since 1979 and are scattered around the world with large communities in the USA, Canada, UK and Germany. We start by asking Hugues to bring us up to date on how the fair started. Laurence Hugues: The Tehran Book Fair Uncensored was born three years ago in London, during an event organized by the Small Media Foundation, gathering several Persian publishers based in Europe. This first experience was very successful, and Persian publishers from the diaspora—in Europe and United States—decided to continue and created the Tehran Book Fair, Uncensored. Among these publishers, there’s Tinouche Nazmjou, Utopiran Naakojaa publishing in France. He has made every effort to preserve the original impulse of the first edition in London. Publishing Perspectives: Where are the participating publishers based? LH: Publishers involved in the project are from France, the UK, Germany, Sweden, the Netherlands, and the United States. Every publisher in his or her country organizes the book fair, so it can “move” through different countries during the month of May in parallel to the official Teheran Book Fair. PP: Is there organized funding behind the effort? LH: The book fair is supported by Persian publishers, themselves. They’re in charge of shipping their books to the different countries in which the book fair is set, but they also find venues for the book fair in their countries. The International Alliance of Independent Publishers has supported the event, as of last year, with communication and publicity assistance because some of the Persian publishers of the book fair are members of the alliance. The fair has become a concrete way to face censorship and to defend the freedom to publish, which is a central issue of the alliance. It’s important that the alliance helps to sustain the Uncensored fair, as part of our support for our Persian publishers. PP: How would you describe the need being met by the Tehran Book Fair Uncensored program? LH: The book fair is an opportunity for publishers from the diaspora to show and promote their catalogues, all the books they publish. Some of these books are censored in Iran, and this is a way to be sure muffled voices are heard. It’s also a way to meet the readers in the Persian communities in Europe and United States, as well as readers who want to discover more in Persian literature. Persian books translated into English, German, French, and so on, are also available during all instances of the book fair, to help reach a wider audience. 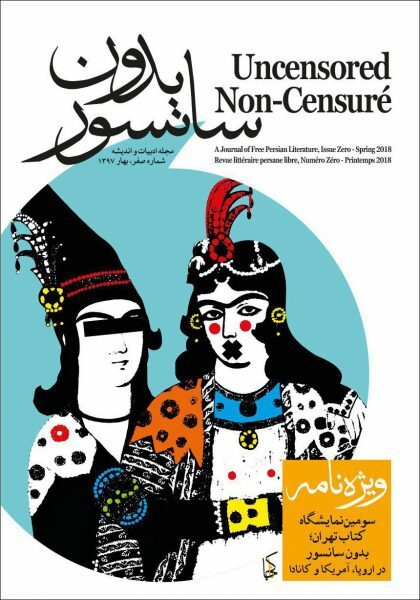 Authors are invited, debates are planned, and this year the publishers have launched an anthology of free Persian literature, Uncensored. The idea is to publish all the texts, novels, poems that are censored in Iran but not yet published outside the country. The collection should offer access to these texts and at the same time, reveal what kind of work is being censored—which ideas and writings. PP: And are there plans for more growth or expansion in the future? LH: It’s difficult to say for now. This will depend on how much backing the Persian publishers can find in coming years. But we do expect the Tehran Book Fair Uncensored to continue, and we hope more and more publishers will join in, especially from Iran and Afghanistan.